24 “Therefore whoever hears these sayings of Mine, and does them, I will liken him to a wise man who built his house on the rock:25 and the rain descended, the floods came, and the winds blew and beat on that house; and it did not fall, for it was founded on the rock. What can you learn from this Passage of Scripture? 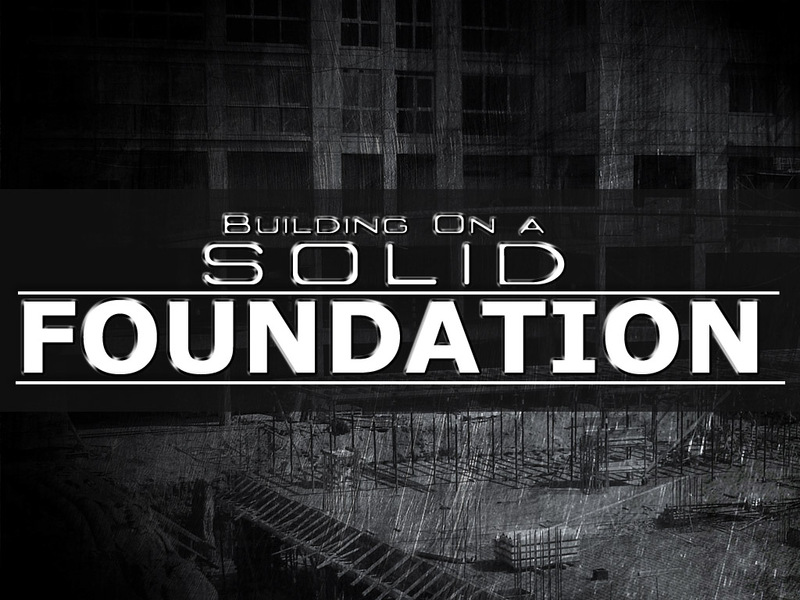 It is better to build on a foundation that is solid than to have a wishy-washy way of life. Let me just say this, this parable is very helpful if you look at it in the context of the houses that are described here. The houses described from this parable can be looked at from a different perspective as we look at how these houses describe ourselves. Our bodies are described in the Bible as the temple of God which houses the Holy Spirit. So each of us are a house that has rooms for something to dwell there. What is dwelling in your heart? Good thoughts or bad thoughts? Is the Holy Spirit present and working in your life? Have you invited Jesus in your house, which is your Heart and your Mind, Will and Emotions? What governs your house? Is your house built on a solid foundation or a weak one? Think about these questions as you continue to read on. Think about that question for a moment and ask yourself “Is the Spirit of God dwelling in you or not?”. If not, what is? hmm…. Now in knowing this, you must also question what type of house do you presently resemble? Are you a house built on a rock or a house built on sand? How you answer that will determine your moral foundation or standards that will either lead to a path of a prosperous and eternal life or a path of destruction that often leads to death. Which path are you walking on right now? What is your moral foundation/standard today? 1) A Wise person, Faithful, Abides in the Truth and is Humble and Obedient (Matthew 7:24). 2) Has a Solid foundation which is God-directed and Spiritual; it is also permanent (Matthew 7: 25). 3) When they encounter troubles or obstacles analogous to the rain, floods and winds (Storms of Life) that beat at them, they will not fall because they have a solid foundation that remains steadfast, strong, sturdy and unwavering and is able to maintain their Godly standards and is not easily enticed to stray from that standard because they remain confident in what and in whom they believe and they also know who they are in Christ (Matthew 7:25). Maintaining Godly standards in your life will ensure that you walk uprightly, you will walk in wisdom, stature and strength and you will be able to meet all the challenges that you face when you operate with the gifts of the Holy Spirit. 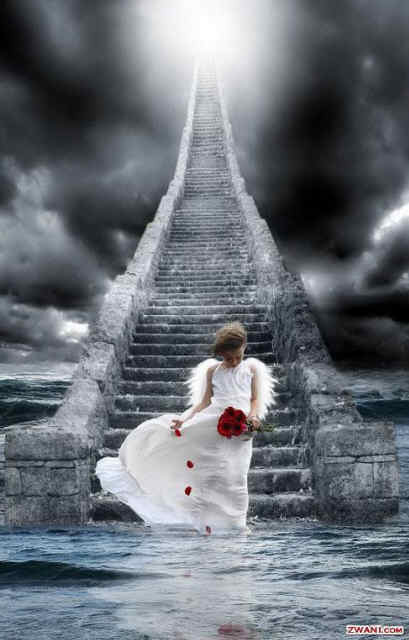 Faith understands the wisdom of God and follows it and walks in it. When you walk in wisdom, you will be able to discern contrary ideas that defy the standards that you believe in. You will not walk in the counsel of the unwise, the foolish, and the wavering. Where there is wisdom there is also safety because a house set upon a rock will remain unmoved when the storms come to hit it. 1 ) Unwise/Foolish; Faithless, Contrary to Truth and is full of PRIDE and is disobedient (Matthew 7:26). 2) Has a Weak foundation which is Worldly-directed and fleshy/carnal/secular; it is also temporal (Matthew 7:27). 3) When they encounter troubles or obstacles in life analogous to the rain, floods and winds (Storms of life) that beat them, they will crumble under pressure and will fall because they have such a weak foundation that causes them to buckle each time they encounter challenges and will constantly waver in their opinion, thoughts and deeds. They are easily swept away with the tides and continue to wonder aimlessly and never hitting the target. They are easily enticed to do things contrary to what is right and are easily influenced by evil counsel. Ignorance is their bed and foolishness is their pillow. They don’t really know who they are as people because of their unbelief and deny Christ in their plans of their life (Matthew 7:27). When one lacks standards, they are double-minded in all their ways (James 1:8). They lack consistency and run into trouble rather than away from it. Their foundation is so weak morally that they don’t know what’s left or right because they swim in the tides of ignorance. Ignorance is not bliss and that is why a sandy foundation will always crumble under peer pressure, pressures of life, and also due to lack of self-confidence. When a house is swept away, there is nothing left except to build again. However, if one builds on the same foundation that failed them the first time, then that is where insanity sets in (doing the same thing over and over expecting a different result). They don’t take heed to those that build on a steady rock because of their heavy sandbag weights of pride. They do not realize the folly in thinking like this because Pride goes before destruction and a haughty spirit before a fall (Proverbs 16:18). When you consider these two types of houses, it is clear that the house built on the rock is the best foundation. Ask yourself today, What is your foundation? What foundation are you standing on today? If you want to walk with God, you must understand that He only abides with those that stand on a solid foundation which is His Word, The Word of God – the Godly Moral Standard. Those that don’t take heed to God’s word are like the houses built on Sand; wishy-washy, wavering and unbelieving – they lack standards and have loose morals just like sand. Those that lack moral standards have houses that house different idols (obsessions or possessions) rather than the Holy Spirit (Righteousness and selflessness). If God is your Standard, then your House will have the Holy Spirit dwelling there, but you must continue to make sure that you get rid of all those things that are not meant to be in your house. Think about that today as you consider what it means to Walk in the Spirit and not in the Flesh. Last Question and Thought for the day: What is in your house (Your Mind, Will and Emotions)? I love your posts. Always so refreshing! LOL Brandon, it’s funny you should say that because I was contemplating on whether or not I should put a song ;). I think I will for my next post.Thanks for your thoughtful comments. And your right about the whole teaching aspect of it all. It’s all about the fundamentals which are instrumental to helping us be what we are purposed to be. Wisdom is a great teacher and the Holy Spirit puts me to school everyday. “know ye not that your body is the temple of the Holy Spirit” was totally drilled into us growing up in our families and our rural church! It is an invaluable guideline for us all, just as much today taking care of our health in senior years as it was in teen years guarding against early sexual experimentation and alcohol abuse and speeding down highways recklessly! And the house on that solid rock foundation out in the lake/the sea is such a powerful reminder to me as I go through this week! Thank you!